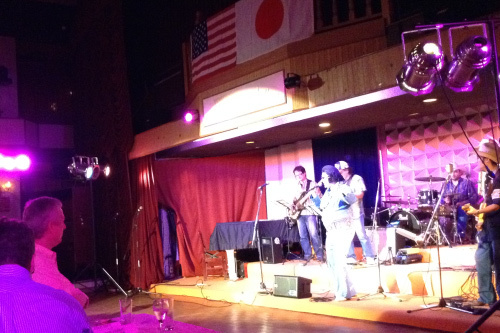 New Year's party is an annual event in January, which Japanese board members host. 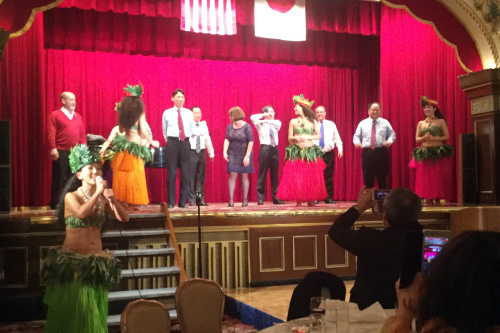 We celebrate New Year with entertainment, inviting guests from the U.S. Embassy, Kanagawa Prefectural Government and Yokohama City Government at Hotel New Grand. 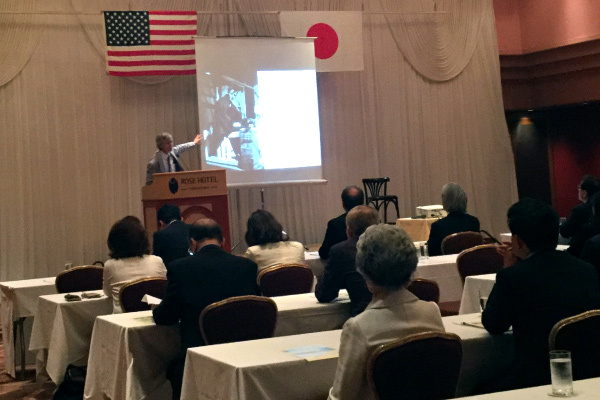 Following the annual general meeting, JASY hosts a lecture by a speaker distinguished for his knowledge of Japan-America relations. We also have an informal party afterward. The forum is held annually in June or July at Okurayama Memorial Hall. It is organized by Ms. Yoko Okura (JASY member) , and the Edwin O. Reischauer Institute of Japan Studies at Harvard University. JASY is one of the co-organizers. 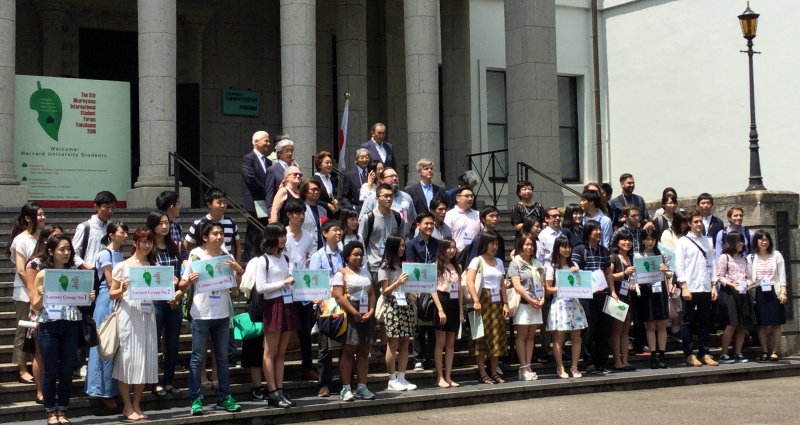 The forum offers some programs (lectures, discussion and Japanese traditional activities) where students from Harvard University and universities in Yokohama can establish cultural exchanges and deepen mutual understanding. JASY celebrates U.S. Independence Day in July. 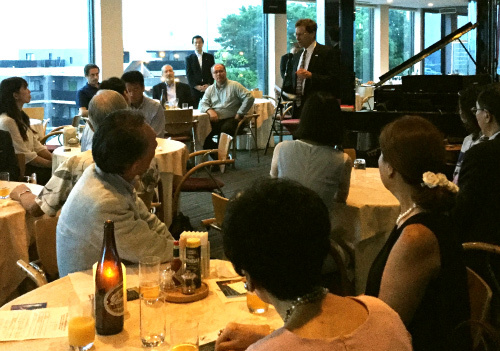 American directors host the party and invite guests from the U.S. Embassy, Kanagawa Prefectural Government and Yokohama City Government. 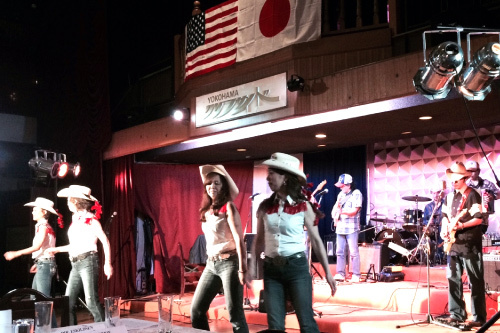 You can enjoy American music and foods at Yokohama Country and Athletic Club (YC&AC) or restaurants in Yokohama. Every autumn, we offer an exchange program to our members and the U.S. Department of State, Foreign Service Institute, Japanese Language and Area Training Center Yokohama. 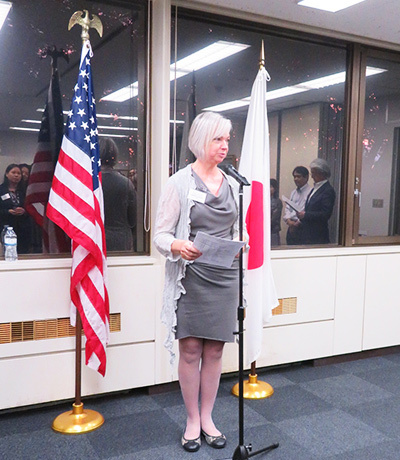 Generally, the conversation is in Japanese for purposes of learning, and this program gives you a great opportunity to talk with U.S. diplomats with experience in fields such as politics, economics, and the sciences more than 7 years. © 横浜日米協会 All Rights Reserved. 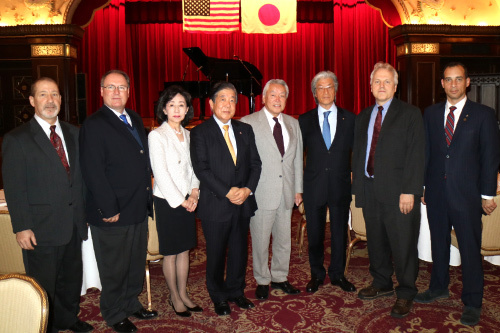 © The Japan-America Society of Yokohama All Rights Reserved.